Havant U3A has been in existence for six years. Our monthly General Meetings are held in the Bedhampton Community Centre (formerly Bedhampton Social Social Hall), Bedhampton Road, HAVANT, PO9 3ES on the third Thursday of each month, starting at 2.00pm - free tea and coffee are available. New members are welcome to attend. The University of the Third Age is a national organisation bringing educational and social opportunities to people no longer in full-time work. It creates an environment where we can share the knowledge that we have acquired during our lives or by getting together to try something completely new. Small groups meet during the month to pursue their particular interests or discuss a wide range of subjects; most of the meetings are held in members' homes. These groups are self help and self funding and rely entirely on member participation. See our list of current interest groups on the next page. We are always keen to create new interest groups, if you have some other interest idea that is not catered for. We also organise outings. The Membership Subscription in our seventh year 2018/19 is £15, which includes five copies of 'Third Age Matters', the magazine of the Third Age Trust. From April 1st 2019 Membership Subscription is £10 for the rest of 2018/19 year. Our new year starts in September. The audited accounts for Havant U3A's financial year 1st August 2017 to 31st July 2018 can be seen by clicking onto the link shown. 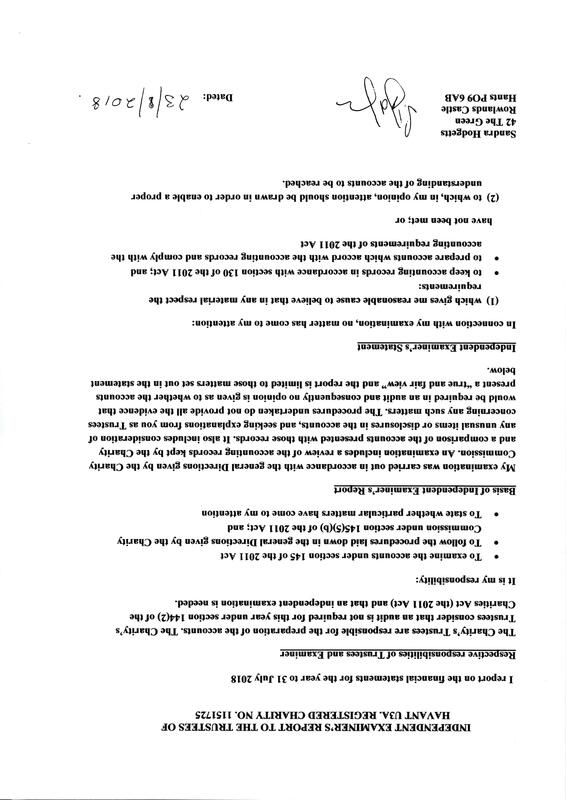 Also available, see links on right, are explanatory notes on the accounts and the Treasurer's report.